We at Limotek.co.uk have found some of the most cheap limos in Birmingham. We have access to some of the best limousines in the industry, with excellent quality service all at affordable prices. If you would like the perfect night out in Birmingham why not go for the cheap and cheerful limos i.e. the Lincoln town car. This vehicle was one of the first ever limos to be made this vehicle holds a maximum of 8 passengers which is very good because it could hold more than a normal taxi and that way it could cost you less. Our aim is to offer you the best deal we can for your budget, so why not call us now on 0871-789-9911 and get a free quote from our friendly advisors. These are some of the special features witch are in the Lincoln town car. They have LCD lighting in them, Disco lighting, Laser lighting, Plasma TV’s with built in DVD’s, Mirrored ceilings and the most important thing it also has a bar in there which we fill up with soft drinks and bubbly. At approximately £200 an hour it may not be the cheapest night out in Birmingham, but for many, limo experience is proving to be the next big thing! Not only do you receive an amazing limo but you have an excellent driver who is insured and is also makes you feel assured that you will get home safely. We at Limotek.co.uk have taken all scenarios aboard and adapted to them to make your limo hire the best night or day in Birmingham. We provide cheap limo hire at prices that are affordable by all. We don’t believe limos should be over priced. We have a vast fleet which includes hummers, traditional white Lincoln town cars, fire engines limousine, monster 4x4, Chrysler Baby Bentley, black, silver, pink limousines and even a 16 seater party bus. Contact Limotek.co.uk for cheap limo hire in Birmingham. 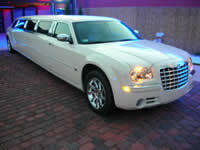 So when your ready to book give us an email or a call and we will provided you with the best limo hire you can imagine.